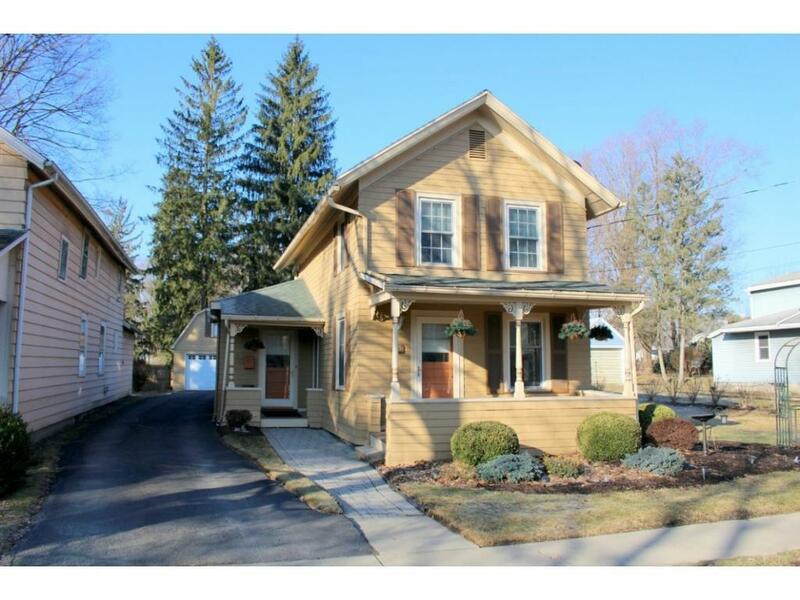 Beautiful updated home in the village of Owego. Plenty of kitchen cabinets for storage, newer appliances and pantry. Hardwood floors. 1st floor bedroom. 1st floor laundry. Covered porch and patio in the backyard.Central Air. 1 car detached garage with loft for storage. Walk up attic for added storage. All replacement windows.